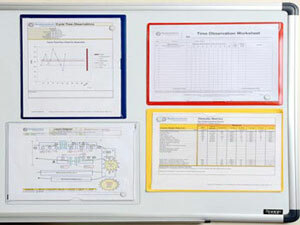 Visual management displays are critical to lean enterprises. Whether it is scoreboards, production control charts, team communication boards, visual management displays keep vital information flowing between lean management and employees, as well as between individuals and departments. They open communication and information sharing within the lean enterprise. To quote Dr. Thoralf Sundt of Mayo Clinic, “If I can see it, I can fix it.” The reverse must also be true – it’s hard to fix what you can’t see. Employees need visual displays that show what is expected of them and how they are performing against those goals. These display boards are critical to success because they show trends in key performance indicators, preferably in real time. Many of the “who,” “what,” and “when” questions that arise are best addressed using display boards that communicate schedules, work orders, due dates, etc. Employees should have easy access to the visual management boards so they can quickly determine what they need to do next; this helps eliminate time wasted searching, asking and waiting for verbal instructions and supervision. Kaizen improvements achieve the best results when performed as a team-based endeavor; communication boards serve a useful role in getting everyone involved in sharing ideas, identifying root causes, and brainstorming countermeasures. 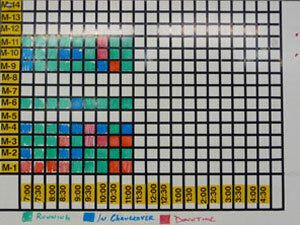 Visual displays are also beneficial for presenting results and recognizing achievements among a kaizen event team. Tracking boards and visual management tools are especially important in multi-shift operations where groups rarely have the opportunity to meet face-to-face. If you are a lean manufacturing facility, consider the oversize 11×17 acrylic wall sign holders for your visual displays. Two of our global manufacturing customers order these large wallpockets for this purpose. Both have remarked that it is easy to update their performance displays and to keep prior displays. They simply move the old sheet to the back. 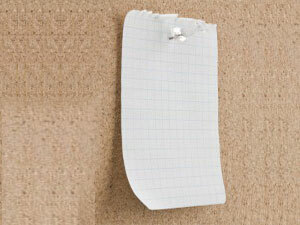 With a ¼” opening, the pockets on our wall sign holders can easily hold 12+ sheets of paper. The other comment is that the acrylic holds up well in the manufacturing environment.